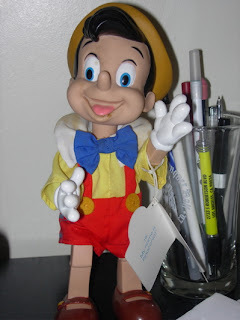 This is a very cute plastic Pinocchio doll by Applause (Walt Disney's Pinocchio). It was bought years ago and was recently re-discovered. It's about 12 inches high. He's made of plastic, except for his clothes.